Low Temperature Compression Set Rig - EV-09 performs compression set at low temperatures without having to open the deep-freezer and influence the compression set result has always been a problem. 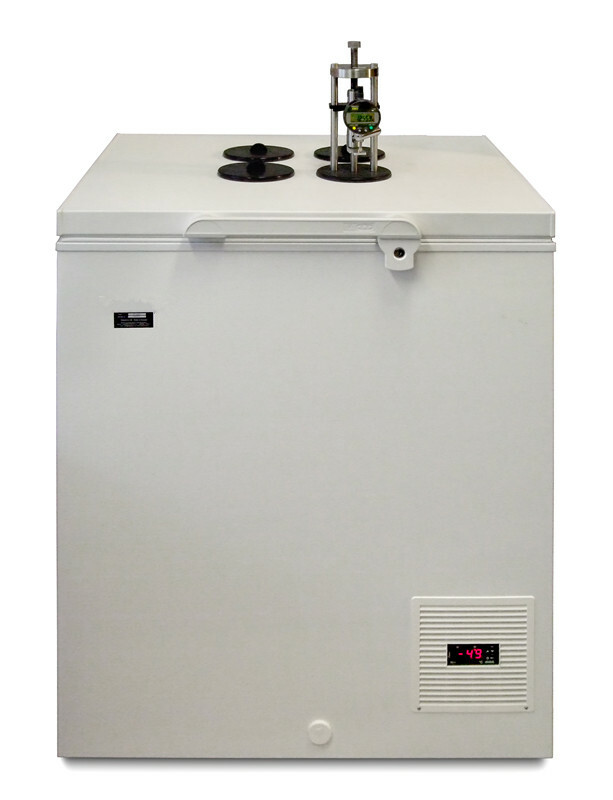 By using our Low Temperature Compression Set Rig - EV-09 compression rig in combination with a deep-freezer with a special lid the test can be performed without touching the test piece. All adjustments of height and releasing the compression are made outside the freezer thus improving the accuracy of the test results. 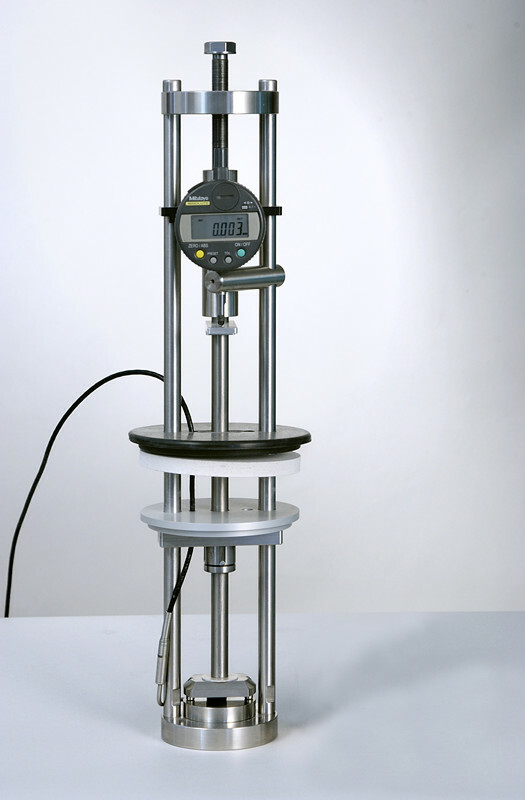 The Low Temperature Compression Set Rig - EV-09 rig has a digital gauge (0,001 mm), the piston is made of titanium and the test weight is simply mounted on to the titanium piston. The sample can remain in the test rig for the whole test period and during the recovery time. The system is a complete system with rigs, a special adapted deep-freezer and logging software. The values can also be recorded manually. Existing users of our EB 02 stress relaxations rigs can buy an addition set which converts the rig to Low Temperature Compression Set Rig - EV-09. This conversion kit includes a compression plate with a rod, linear bearing, spacers, weights, digital gauge with 0,001 mm resolution and software for plotting the recovery.